Research the top criminal justice careers, review dozens of career profiles, view salary information, and find degrees with the 2018 Criminal Justice Career Guide. 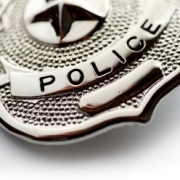 Welcome to the top guide for criminal justice careers. Below you will find all of the information you need to figure out which criminal justice career might be best for you. It is recommended to read this entire career guide to get the best idea of what a criminal justice career and the education associated with it all entails. If you are in a hurry, use these quick links to jump to the section you are most interested in. A degree in Criminal Justice, either alone or in combination with other training and education, can qualify students to work in a large number of fields that involve some aspect of crime or justice. The jobs available with a criminal justice degree also depend on the specific type of degree obtained, other work experience, personal aptitudes, and personal interests within criminal justice. Consider a featured online criminal justice program if you are looking to further your career within criminal justice. The most popular fields in which criminal justice students work are law enforcement, investigation, and corrections. There are many jobs for local, county, state, and federal officers who enforce the general laws of the society. This covers a lot of territory, from entry-level sheriff’s deputy to the FBI, with many levels in between. Local law enforcement jobs are typically far more routine than a job as, say, an FBI special agent, who may be tasked with fighting terrorism or combating cyber attacks. There is also a significant variation in duties and compensation depending on your experience and aptitude after being hired. Criminal justice students also find employment enforcing specific types of laws. Common jobs of this kind include fish and game officers, border patrol agents, customs officers, and transportation security agents. These jobs tend to wax and wane periodically, as public policy shifts. Not until the 9/11 attacks, for example, did the job of transportation security agent really become prominent. Many criminal justice students are employed guarding specific locations and activities against the possibility of crime, especially theft. This category includes industrial security guards, retail security, armored car transport, and the like. Most jobs are geared toward preventing crime in a specific location or context, but may also participate in apprehending criminals in those locations and contexts. Most general law enforcement agencies described above also include an investigative arm. These investigators work to solve specific crimes committed in the general society. Jobs of this type include forensic analysts, detectives, and similar higher-level law enforcement activities. Many criminal justice students work in the private investigation field in some capacity. In general, these are the classic “PIs” so often been glamorized on screen and in print. In real life, these investigators work for private individuals and companies, and may work to solve crimes or simply to obtain information, such as where a spouse or mate goes during the day. While law enforcement and investigation involve prevention of crime and the apprehension of people accused of crime, corrections deals with people who have been accused and/or convicted of a crime. After arrest and before conviction, people accused of crimes are often held in jails, where they must be guarded, fed, transported, counseled, and so on. Once convicted, these people are either confined to a prison or released into the community under various restrictions that are enforced through probation, parole, or similar programs. Criminal justice students often work as guards in jails and prisons, and many work as probation officers of some kind, making sure that probationers and parolees live up to the terms of their release and do not pose a danger to the community. Within these fields, there are also a wide range of support jobs, from clerical to counseling to administration. While there are many criminal justice career paths, many wish not to go down the same beaten path everyone else does. If a common career path, such as becoming an assistant district attorney or police officer, sounds boring and dull to you, then you should consider one of these atypical career paths in criminal justice. The experience most people have with bounty hunters is from television and movies (e.g., Boba Fett from Star Wars or old Western cowboys). However, bounty hunters are alive and real, if a bit different from the media’s portrayal of them. Far from the hit men that they are portrayed to be, bounty hunters are also called “bail bondsmen.” When purported criminals are sent to jail before their trial, they have the opportunity to post bail to get out of jail before his or her trial. This figure is often far too high for a criminal to pay out of his or her own pocket—after all, who has $50,000 sitting around? That’s where bail bond companies come in. They typically post 90 percent of the bail amount. So, in the example of the $50,000 bail, the defendant would post $5,000 and the bail bond company would post $45,000. If the defendant forfeits his or her bail by skipping a court date, then it’s the bounty hunter’s (or bail bondsman’s) job to reclaim that money. To be a bounty hunter, you must typically endure training similar to that of a policeman, including firearm safety training and self-defense. Physical aptitude is a large part of becoming a bounty hunter due to the possibility of tracking fugitives on foot, or using force to apprehend a bail-jumper. Yet, there is also a great amount of mental toughness and tact required. A higher education is recommended to familiarize yourself with the criminal justice field and how a bounty hunter fits into the system. After 9/11, an increasing percentage of domestic flights have Federal air marshals on board. The role of the air marshal is to ensure peace and order throughout a flight. Of course, not every flight has an air marshal on board; that would be an unreasonably high cost for the Federal government. However, a set percentage of flights has on-board air marshals. Because air marshals carry guns on-board flights (one of the many exclusive privileges bestowed upon them), they must undergo rigorous gun safety training. To comply with Federal and international safety regulations, air marshals must be extensively trained in air safety. Those with a soft spot for animals can put their criminological, or investigative, skills to good use by becoming an animal cruelty investigator. Animal cruelty investigators have similar responsibilities to many other public and private investigators, except that they focus on animal cruelty. Whenever private citizens lodge complaints against people they suspect to be abusing animals, it is the job of the animal cruelty investigator to research the complaint. 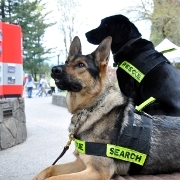 Animal cruelty investigators have the same responsibilities and restrictions that other criminal justice investigators do: They cannot violate the Fourth Amendment through unreasonable search and seizure, and if they suspect that anyone is in real danger, they must notify the proper authorities immediately. Animal cruelty investigators typically work in conjunction with a state or local governmental agency. As you can see from these few examples given, it’s possible to take a sharp left turn when deciding what your career in criminal justice will be. While you could enter a typical criminal justice career, you can also live a life unlike any you’d ever dreamed of. To work within the criminal justice field, nearly any employer will require a degree, and most employers may cater towards candidates with degrees in criminal justice. Academic credentials in criminal justice can be as simple as a certificate to as complex as a PhD. If you’re planning on really moving into upper management or a professional position, you may get even more advanced degrees, such as a JD (law) or an MD. The key to choosing the program that’s right for you is to have a pretty clear idea of your immediate job goals and the academic credentials required for that work. Here’s a rundown of the kinds of credentials you can choose from, proceeding from the simplest and quickest to the most complex and time consuming. Certificates are included (even though they aren’t technically degrees) because they are educational options widely available in the criminal justice field. Additionally, there are still entry-level jobs in some fields that you can get with just a high school diploma. This “nuts and bolts” credential typically amount to less than a year’s worth of study. Certificates, it has been said, “are for people who want to train for a job rather than to earn a college degree.” Note, though, that because it isn’t a degree, you will have to pretty much start from scratch if you decide to get a degree later. This is the basic two-year degree, typically requiring that you complete four semesters of 15 credits each, for a total of 60 credits. If you decide on getting an Associates of Criminal Justice now, be sure to evaluate your program to make sure there is flexibility later to transition your Associates level class credits into a Bachelors of Criminal Justice program. A bachelor’s degree is the basic four-year degree, typically requiring that you complete eight semesters of 15 credits each, for a total of 120 credits. Nowadays, many people working in the criminal justice field or the justice system have a bachelors of criminal justice degree. The Bachelor’s degree is also the foundation for obtaining a master’s or even a graduate certificate. Some of the curriculum can be general education requirements, but the undergraduate focus is on the justice system, law, and politics, but can vary depending on if you choose a criminal justice specialization. A Master’s Degree in Criminal Justice builds on the bachelor’s degree. Academic requirements differ a bit from school to school, but a master’s commonly takes two more years if you go full time. There are many options popping up for the Masters in Criminal Justice degree that are available online, where people that may be already working in the field can continue their education while working. Doctorates in Criminal Justice provide a deeper foundation in the theoretical, analytical, and policy aspects of criminal justice. Many of the doctoral level degrees in Criminal Justice are available as a Ph.D. in Criminal Justice, a Doctorate of Criminal Justice, or a specialization such as Criminology Doctorate. Many schools offer holders of a Bachelor’s in Criminal Justice the opportunity get further education in the field short of a formal master’s degree. Most of these programs require that you already have a bachelor’s, and complete some additional course work. Certification may be in general criminal justice, or a narrower aspect of criminal justice, such as criminal justice management. There’s a lot of flexibility in when and even how you obtain your degree. Once you get an associate’s degree, you have the option to test the employment waters with that credential. If you don’t get the job offer you want, you can always transfer to a four-year program and pursue a bachelor’s degree. Moreover, if you do take a job with your associate’s degree, there’s nothing to stop you from pursuing a bachelor’s, either part time or full time at a later date. A very common reason that criminal justice degree holders decide to further their education after having worked for a while is that they find themselves blocked from promotion and transfer opportunities. Imagine, for example, the difference between an entry-level patrolman and a crime investigator, or between an entry-level prison guard and a prison supervisor. There are thousands of job search websites on the Internet. But, where should you look for criminal justice jobs? We’ve compiled a list of 101 criminal justice job resources to help you narrow your search. Monster.com – Because Monster.com is a general job search engine, you will want to narrow your results. In the job title window, type criminal justice and use the drop-down menu to find specific openings. Create a profile and resume to use for multiple applications, but remember to send targeted cover letters for better results. indeed.com – Indeed.com is a general job search engine. You can narrow results by typing ‘Criminal Justice’ in search bar, as well as a desired location. Simply Hired – Simply hired allows you to search by keyword and location to hone in the right job for you. The site is easy to use with a simple layout. Career Builder – Career builder offers the basic keyword and location search as well as many other options. You can search by category, post a resume, and access other resources. Higher Ed Jobs – Higher Ed Jobs allows you to search by location, type of job, as well as by company name. It is simple and easy to use. Jobing.com – Heavy on the location aspect of the traditional job search website, Jobing provides a helpful platform for searching through job listings. Insidecareerinfo.com – This site provides a description of careers in the criminal justice realm, linking to schools in the field. Federalgovernmentjobs.us – This website allows users to search for government jobs. It has a basic layout that helps you to narrow your search to the criminal justice field. Best Jobs USA – This website allows users to find a job in their desired field by searching by category, location, and keywords. JobJournal.com – This site acts as a magazine of sorts, with classifieds for open positions across the nation. Careeronestop.com – “Pathways to career success” is this site’s motto, providing many pathways and resources to allow you to find the best job for you. Craigs List – One of the largest listings of classifieds in the United States, Craigslist enables users to search by location, position type, and many other factors. Job.com – This site follows the traditional format of job search sites: Plug in your desired job and location and away you go. Job Central – Brought to you by the National Labor Exchange, this site allows you to search for a job anywhere in the country while offering many other resources and educational information. JuJu – JuJu claims that it is a “smarter job search” for those looking for positions of all types. NationJob – Nation Job allows a user to hone in on their desired location to find a job in their immediate area. It also allows you to search by community, industry, or specific employer. Military Times Edge – Military Times Edge is a job listing site that allows users access to classifieds in the private security realm as well as resources such as resume and cover letter help. Job-Engine – Job Engine has a no-frills job search engine that allows users to search by type of position desired as well as location. Jobs to Careers – Jobs to Careers provides a standard job search layout by location and type of job desired. Glassdoor – Glassdoor allows a user to search for jobs based on location and type of job, as well as to explore specific companies and firms for open positions. Careerjet.com – Career Jet is a job search platform in the traditional “what” and “where” format boasting 13 million jobs published in the United States. LinkedIn – LinkedIn is the world’s largest career-focused social network allowing users to search for jobs by type, as well as specific companies and employers. IRS – The official job listing site of the Internal Revenue Service hosts a list of all open positions within the government branch along with information about the roles of the IRS and individual positions. DEA – The official job listing site of the Drug Enforcement Agency hosts a list of all open positions within the government branch along with information about the roles of the DEA and individual positions. U.S. Department of Justice – The official job listing site of the Department of Justice provides a listing of open positions within the government branch as well as a resource for more information about the duties and mission of the department. FBI jobs – FBI jobs allows you to search for job openings by type of position. The site also provides information on how to prepare for a career with the FBI. Mass.gov – The Massachusetts state website allows you to research job openings in the state. By clicking on the ‘education and jobs’ tab, you can then search by type of job desired. Maine.gov – This site lists available criminal justice jobs in the state of Maine. NewYork.gov – Criminal justice jobs in the state of New York are listed on this site. Vermont Criminal Justice Training Council – This Vermont site lists employment opportunities for law enforcement officers as well as resources for those looking to gain training in law enforcement. California Jobs – California’s job resource allows you to search by job title or department to find employment opportunities. JobStar – This site allows you to find a job in governmental branches in Northern California. USAJobs – USA Jobs lets you search by “what” and “where” to find a government job that best suits your needs. CalJobs – This database of jobs in California allows users to utilize many techniques to find the job right. New York City Jobs – This government site maintains listings of all the job openings in New York City, which includes open positions in the field of corrections. Los Angeles Jobs – This site allows you to search positions in Los Angeles County by entering the field in which you are seeking employment. Law enforcement and security positions are listed, as well as many other criminal justice related fields. Illinois Jobs – This government site allows you to search through all listings within the state of Illinois. By clicking on the Job Postings button, you can sift through open positions by entering information relevant to the type of job, salary, and locations desired. Miami-Dade Jobs – This government agency website has all the information needed to explore a career in the Miami-Dade area. The site provides users with resources necessary to attain personal assistance in finding the right career in the Florida county. Houston Jobs – This Houston, Texas, government arm provides a site-visitor with the information and resources necessary to begin a career in the Houston area. With an easy-to-use job search function, users can get started finding their desired position right away. Pennsylvania Jobs – Pennsylvania’s largest listing of open positions on one site, employment.pa.gov allows you to search open positions by city, county, and desired position type by entering the keywords to find the perfect job. Ohio Jobs – This government-maintained site provides the most comprehensive listing of open jobs in the state of Ohio. With many other resources and search options, careers.ohio.gov is a great way for residents of the “Buckeye State” to find a criminal justice-related position. Texas Jobs – This site is supported by Texas.gov and provides a large listing of open positions for anyone looking to attain employment in Texas. The site requires you to register with a valid area code to find the nearest employment options. Michigan Jobs – Michigan’s job listing resource allows users many ways to search for a desired position in their state. The site is easy to navigate and offers many positions in the criminal justice, law enforcement, and corrections realm. Georgia Jobs – This government site provides an easy-to-navigate resource in their job posting section. By clicking on the Job Search tab, you can navigate the open listings to narrow searches down by field. The site provides many listings in the corrections, law enforcement, and security field. Atlanta Jobs – The leading site for job listings in Atlanta, this site requires users to register a user ID to scan through all of the available openings in Georgia’s capital city. San Diego Jobs – This government site is not just a job listing page but a resource. It provides users with one-stop shopping for obtaining employment in the city of San Diego (including postings in law enforcement, corrections, private security, and legal services). New Jersey Jobs – New Jersey’s official listing of state jobs, this site provides information and applications for open positions in the state in law enforcement, juvenile corrections, corrections, and security. North Carolina Police Jobs – This site lists North Carolina’s law enforcement jobs throughout the state. The site allows users to search by county for open positions. Some navigation through the site will lead to positions in other areas of justice and corrections. Virginia Jobs – This Virginia government site essentially serves as a middleman between those searching for employment and the appropriate staffing resource. The site gives visitors information on who to contact for certain types of positions. MyFlorida Jobs – “The Official Portal of the State of Florida,” this site has a comprehensive list of many online resources for finding a job in the “Sunshine State.” The site links out to other employment sites depending on the type of employment sought. 911hotjobs.com – 911 Hot Jobs as a job search resource for those exploring the fields of law enforcement, fire fighting, and EMS. In addition, the site provides test materials and links to schooling options for each of these fields. Corrections.com – Corrections.com allows you to search for job openings in the corrections field. This includes openings for entry-level positions as well as intermediate and advanced-level corrections jobs. CourtJobs.org – CourtJobs allows you to find a career path by searching through many different criminal justice fields such as corrections officer and court reporter. The site follows the traditional “what” and “where” search boxes to allow users to find their desired match. iHireSecurity.com – IHireSeurity applies the basic job search format to the more specific field of private security. The site allows you to narrow searches down by selecting job types that range from “asset protection manager” to “patrol” and everything in between. JobCop.com – JobCop allows you to find available positions in law enforcement within your state. The site is a no-frills resource for job seekers across the United States. LawJobs.com – Law Jobs allows you to find a job within the legal realm by utilizing a traditional job search structure. Yet, Law Jobs has many options to narrow the search down by specialty. Criminal Justice Jobs Help – This site lists over 3,000 available criminal justice jobs in the United Sates. It has a straightforward, easy-to-use layout. LawEnforcementJobs.com – Law Enforcement Jobs is a very informative website that provides many resources to those interested in a career in law enforcement. The site allows you to search for job listings online, as well as the option to subscribe to a career newsletter. LPJobs.com – LP Jobs focuses on helping users find a career in the field of loss prevention. The site provides job search resources for employers and potential employees, as well as a magazine offer for further information on the security sector. PoliceEmployment.com – PoliceEmployment is host to an array of helpful information for anyone looking to pursue a career in law enforcement. In addition to job listings, the site offers academic information and the ability to learn more about each subsector of law enforcement. RealPolice.net – RealPolice provides a bare-bones job search platform for anyone interested in law enforcement. The site is easy to use, but offers limited search tailoring. TheBlueLine.com – The Blue Line is a police officer job listing site that show users exactly where the jobs are needed. By listing open police officer positions, site users can easily find an open job near them. DiscoverPolicing.org – Discover Policing is a great resource for those looking to explore law enforcement as a career path. The site provides a great deal of information on what it is like to be a police officer, as well as a posting of open positions throughout the United States. golawenforcement.com – Golawenforcement.com is dedicated to helping users find a job in law enforcement. The top navigation bar allows you to search all law enforcement-related jobs by position and location. Paul’s Justice Page – Paul’s Justice Page provides job resources to those looking for a career in the criminal justice field. Resources are also listed with links to jobs sites and recommended reading for certain careers. Chron.com – This website lists many career possibilities in the criminal justice realm with additional resources for those looking to read up on related topics. CorrectionsOne.com – CorrectionsOne welcomes users to the “#1 site for Corrections.” The site provides up-to-date news coverage on all stories in the corrections field, as well as other resources such as a jobs section and education information. Corrections Corporation of America – Corrections Corporation of America is “America’s leader in partnership corrections.” The organization allows you to pursue career information via either email or phone as opposed to the traditional job search format. HG.org – HG is mainly used as a resource for all things law related. Yet, the site also provides users with the ability to search for a legal- or criminal justice-related position by narrowing down the search to within their state. Officer.com – Officer.com provides a listing of job opportunities throughout the United States, as well as the option for users to expand their search with the help of the CareerBuilder search tool. 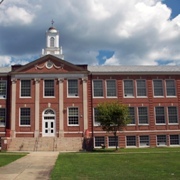 The site also offers many resources such as news and schooling information. PoliceCareer.com – PoliceCareer offers a great deal of information regarding training and education standards for those looking to land a job in law enforcement. Site users also have the ability to pursue further information by calling the PoliceCareer hotline and speaking with a representative. Aegis – Aegis is one of the world’s leading providers of security services. By visiting their “careers” page, you can investigate job openings in many areas of private security. privatesecurityjobs.com – This site allows you to search for a position in a private security firm. You can use the site to search through job postings, or receive more information about schooling options and meetups of local private security workers and companies. Privatemilitary.org – Private Military provides links and other resources to those looking for positions in private security work. Private Security Jobs – This site acts as a resource for anyone interested in private security or military contracting. The site requires you to register an account to access its database of jobs and other resources. Security Jobs on Demand – Security Jobs on Demand allows users access to a continuously updating list of available private security jobs in the United States. PSU Bodyguards – PSU Bodyguards offers employment opportunities as a premiere bodyguard service in the United States. Allied Barton – Allied Barton is one of the largest employers of private security personnel throughout the United States. This site lists positions available as well as a resource center for those looking to receive more information. Amir Private Security – Amir Private Security says “our employees are our best asset.” Fill out a short questionnaire to find out if you qualify for a position as a private security officer. American Criminal Justice Association – Joining this professional organization gives you access to the “best source of job resources on the Internet.” The association also holds job fairs in certain cities. National Criminal Justice Association – NCJA offers many resources to those in the criminal justice field. Through the website, you can access current news and information on the criminal justice realm. Should a user choose to become a member, the benefits are much greater including access to local networks and career information. Southern Criminal Justice Association – SCJA is a professional association designed to give members access to resources and opportunities needed to take full charge of their career in the criminal justice field. American Society of Criminology – The ASC provides a resource to those in the criminology field. The site gives you access to job listings under the “employment” tab at the top. American Corrections Association – The ACA serves as a tool for those in the field of corrections who wish to learn more about current issues, or take their career to the next level. The site offers a “job bank,” which any user can access as a resource to finding a job in his or her area. American Jail Association – The AJA is a national nonprofit that supports the professionals who operate, or work closely with, our nation’s jails. The site offers a job posting section with current openings in the prison system. American Probation and Parole Association – APPA is an association dedicated to the discussion and development of the probation and parole services in the United Staes and Canada. The site offers a “Career Center” resource for those looking to work in probation or parole careers. American Society for Industrial Security International – ASIS is a professional organization with nearly 25,000 members who represent all corners of the American security field. Once a member, you will have access to the organization’s directories and career resources. International Association of Women Police – IAWP is an organization dedicated to the education and advancement of women in law enforcement. Membership allows you access to job listings as well as a magazine and other education materials designed for women law-enforcement officers. International Community Corrections Association – ICCA is a nonprofit that acts as the voice for residential and various community corrections programs. The site offers access to events and publications designed to spread the mission of the organization. National Association of Blacks in Criminal Justice – NABCJ is a “multiethnic, nonpartisan, nonprofit association of criminal justice professionals and community leaders dedicated to improving the administration of justice.” The site offers many resources designed to further minority representation in criminal justice leadership. National Black Police Association – NBPA is a “nationwide organization of African American Police Associations dedicated to the promotion of justice, fairness, and effectiveness in law enforcement.” Membership ensures publications and discounts that allow for advancement in the realm of law enforcement. Encore staffing – Encore’s website allows you to search for a position by location and desired field. Searching requires some trial-and-error to match search terms. Ace Boston – Ace Boston allows job seekers to search in a number of different ways including by position type and location. Ace also allows you to reach out to a representative to receive further information about a specific request. Kelly Services – Kelly Services is a staffing agency with offices throughout the world. Jobs in the criminal justice and law realms can be found by typing “legal” in the search field. The site has a nice layout and is easy to use; yet, location searches are slightly less exact. Military.com – Military.com offers an extensive listing of jobs targeted toward veterans, as well as a plethora of resources that can be used by anyone interested in military, criminal justice, or private security. About.com – About.com’s resources page is for those looking to work in criminal justice. This page lists many types of careers and the best way to land a job in each, including links to other helpful resources. Ability Jobs – Dedicated to the employment of people with disabilities, Ability Jobs is the largest resume bank of job seekers with disabilities. PJ Scout – This site enables a user to create a unique profile allowing for personalized and up-to-date job searching.